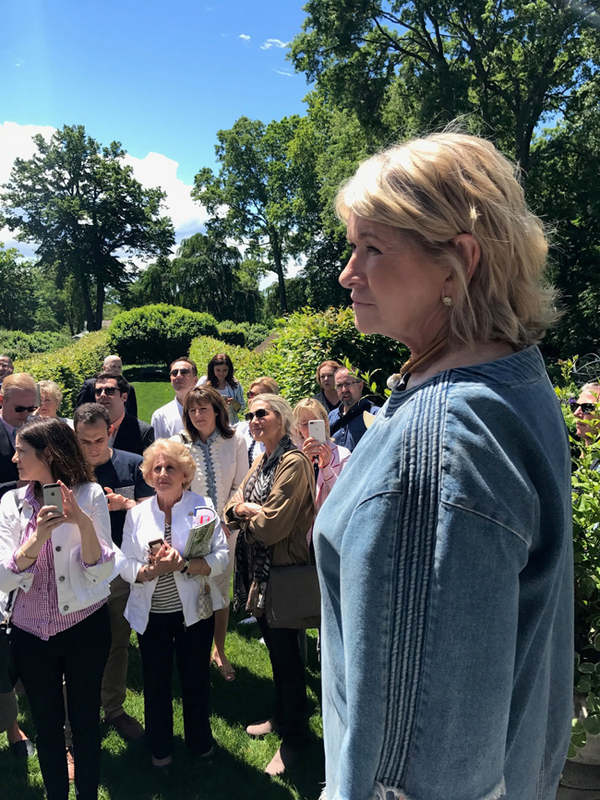 It's the stuff that dreams are made of: touring Martha Stewart's first iconic home and garden with Martha herself! 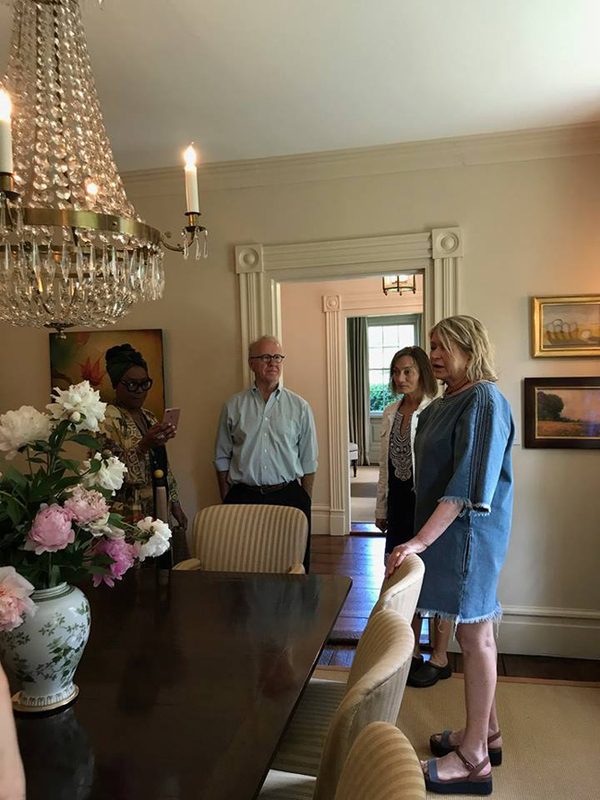 That dream came true for several Martha Moments readers on Saturday, June 3, when Martha returned to her first home, Turkey Hill in Westport, Connecticut, to lead a tour for fundraising. 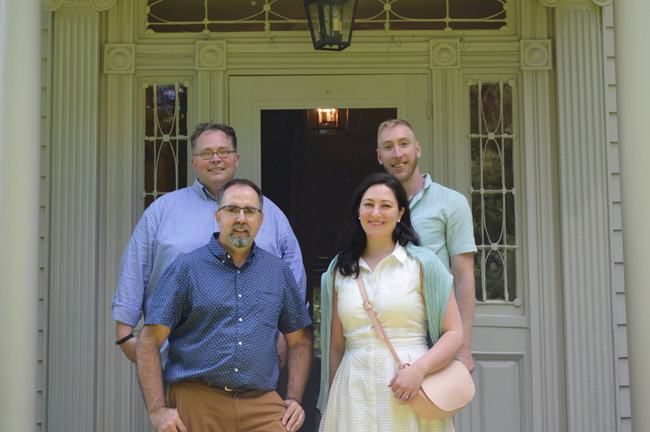 The current owner of the home, Casey Berg, is a member of the board of directors of Positive Directions, a community-based, not-for-profit organization offering alcohol and substance misuse prevention and counseling services. 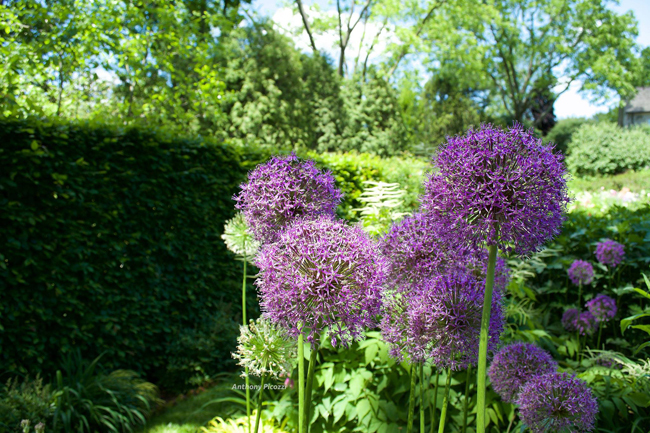 Martha began the tour with a Facebook Live broadcast from the home, taking viewers on a tour of the home and garden with Casey. (Click the link above to view the tour if you have not yet watched it!) Following this, Martha welcomed a small group of fundraisers and ticket holders for a private tour. 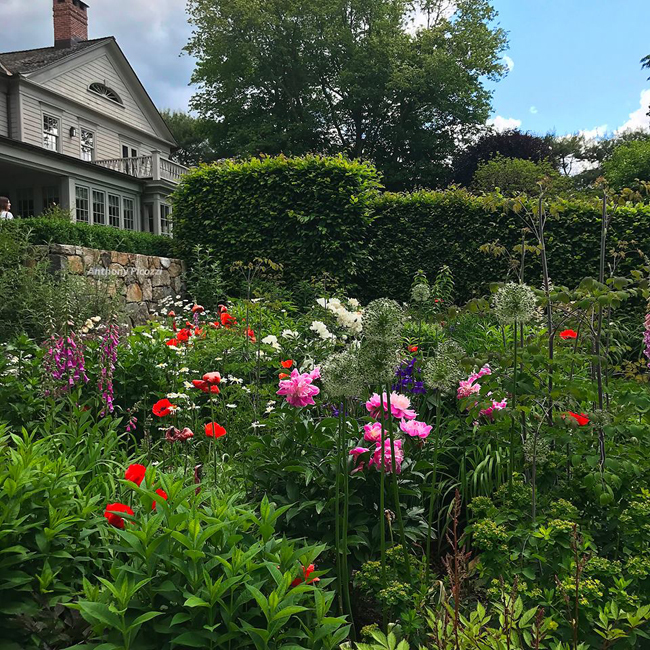 Several Martha Moments readers were among the group and I'm thrilled to be able to share some of their wonderful photographs here on the blog. I debated going but the tour fell on the same day as my nephew's high school graduation and I really did not want to miss that. I did feel as though I was there, however, thanks to Martha's webcast and all of the remarkable photographs and comments shared by Martha Moments readers on our Facebook discussion group. My deepest thanks to Martha Stewart, Casey Berg, Anthony Picozzi, Dennis Landon, Jeffrey Reed, Jason Zappolo, Collin Patrick Eastland, Darrin David, Rox-Anne Henderson, Joe Jelnicki and Nathan Schmidt for their generosity. Enjoy the photos, courtesy of the aforementioned group of individuals! For more about the history and details of Turkey Hill, click here. 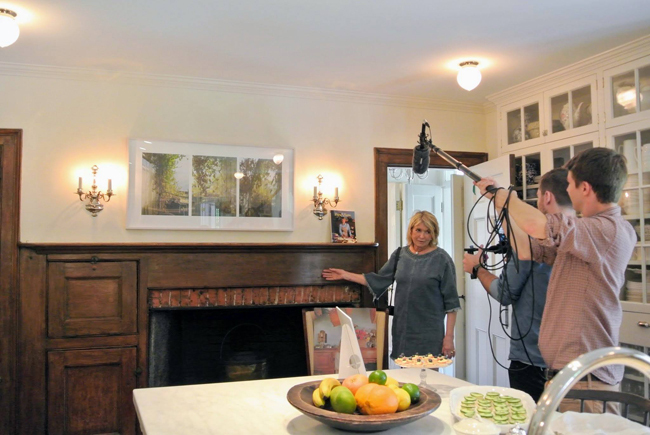 Martha began the tour with a live webcast from inside the home. She was very impressed the new owners had not painted over the wood mantel in the kitchen, which dates from the early 1800s. 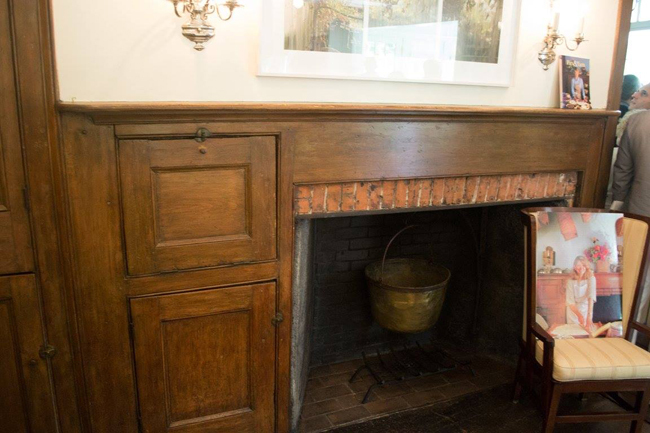 Martha spent weeks removing decades worth of paint and stain from this mantel to bring it back to its original finish. Martha once used these original warming ovens but the new owners use them as storage. 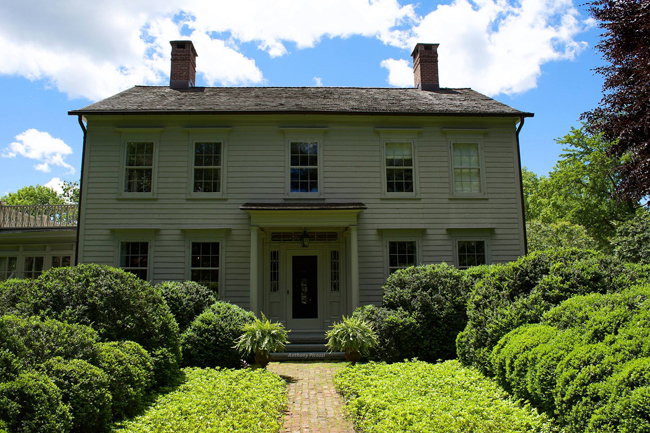 While the new owners made several additions to the home, very little was done to the original abode. 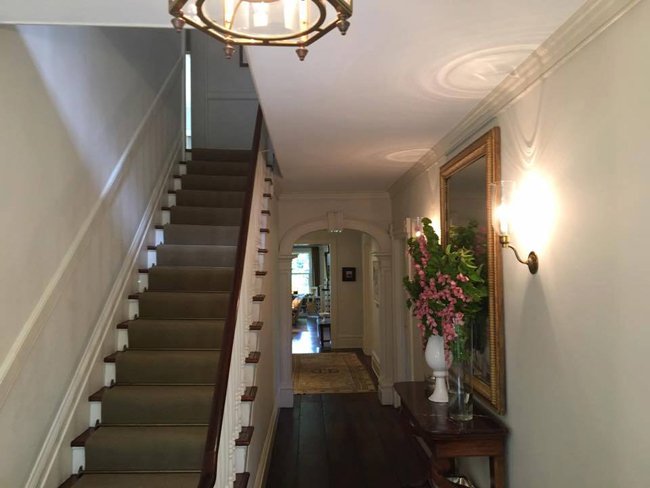 Above, the entry hall looks very much as it did when Martha was living there. 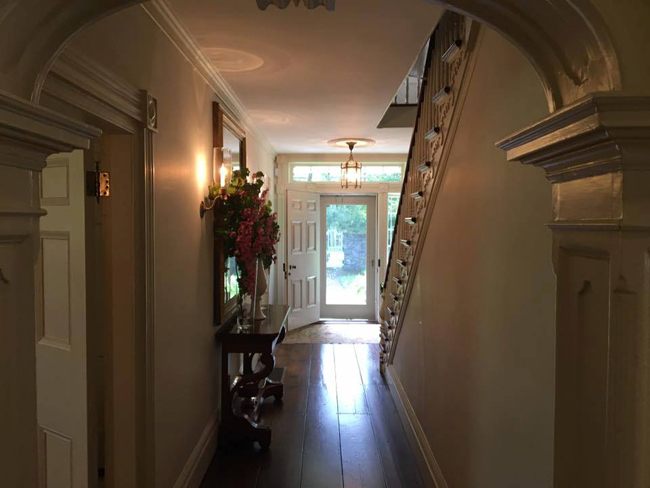 A view of the entry hall from the opposite direction, looking toward the front door. 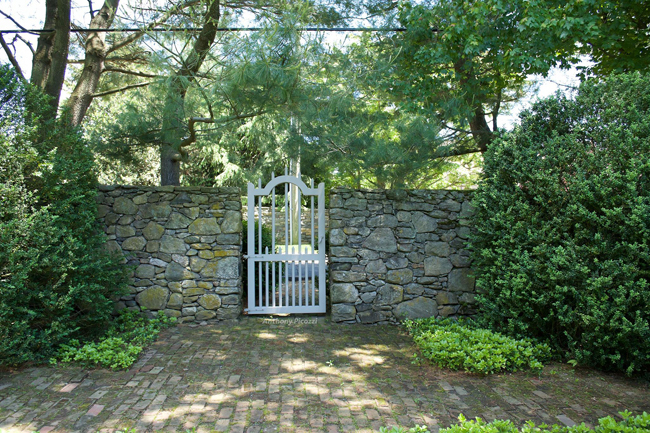 Martha, standing at the front door, spoke to the group about the stone wall surrounding the property and the brick walkway, which she laid herself. 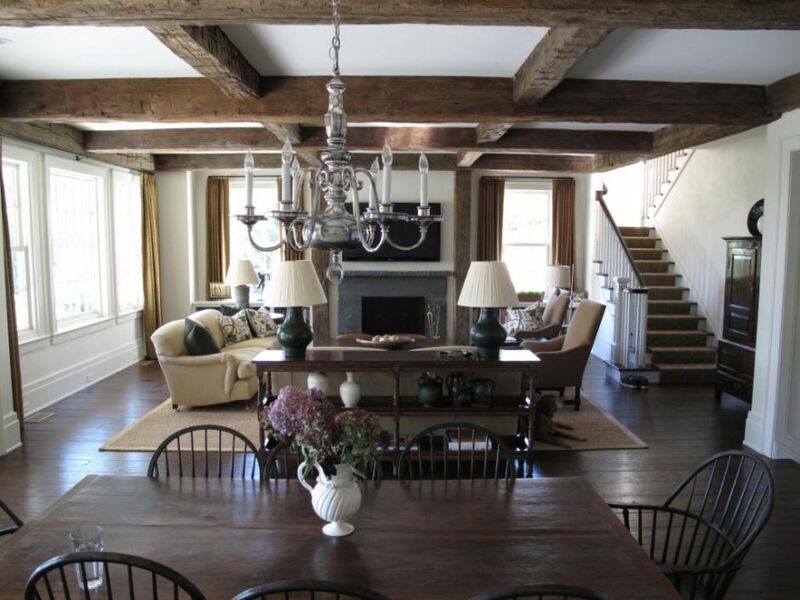 The parlour of the home is very tastefully decorated. The crown moldings were Martha's addition! Martha speaking to the group in the dining room. Beside her is Casey Berg, the current owner of the home. Also shown is architect John Fifield of FPF Architects who designed the additions and renovations to the home after Martha sold the house. Very little was changed in the library. 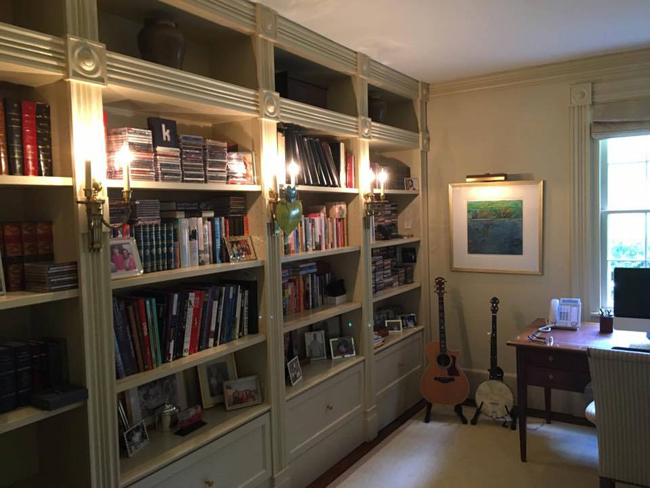 The lower shelves were converted into drawers but the finishing details were all Martha's designs. 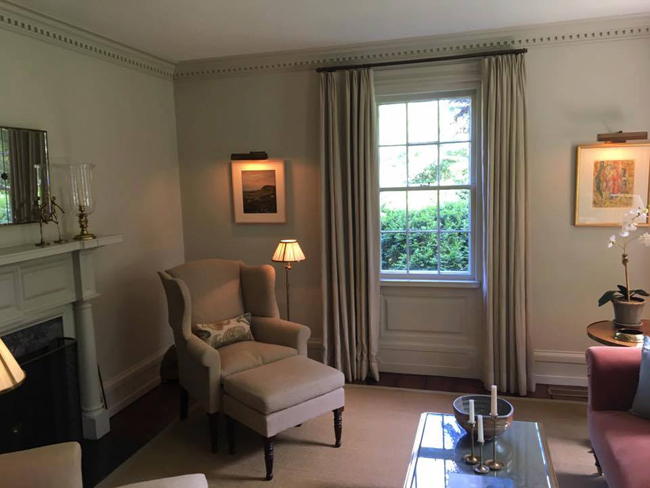 This is a new addition to the home: a large casual eating area and family room that connects the original house to the carriage house. 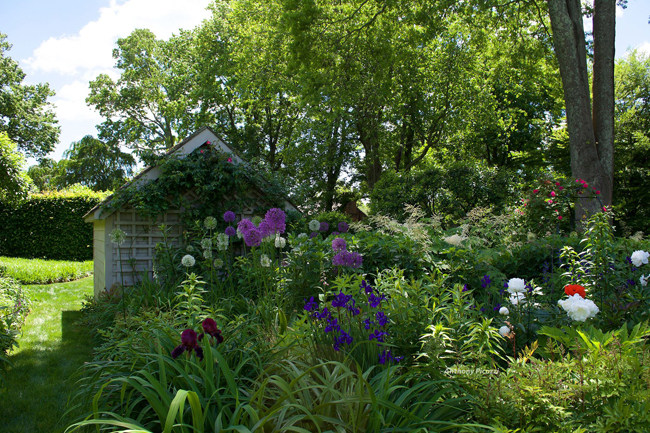 Martha said during the tour that she had always wanted to do this and was pleased to see it come to fruition. 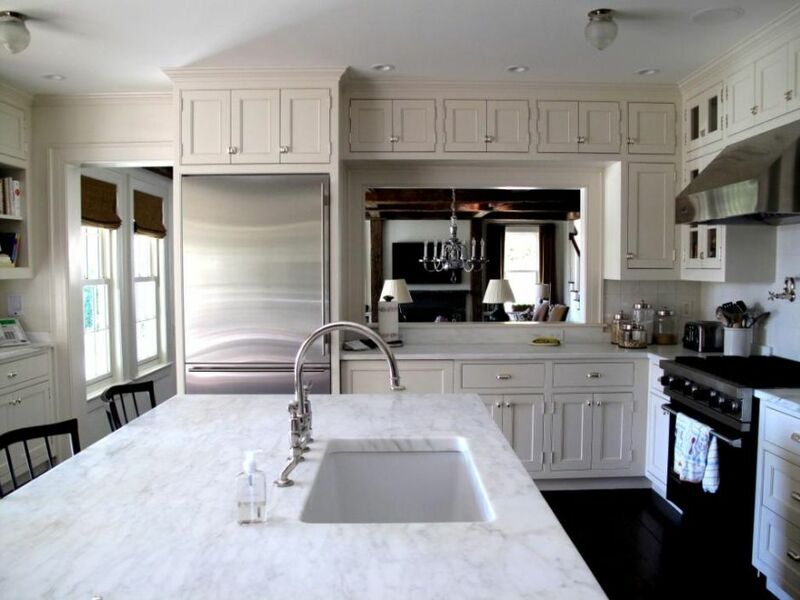 This portion of the kitchen is also newly renovated. 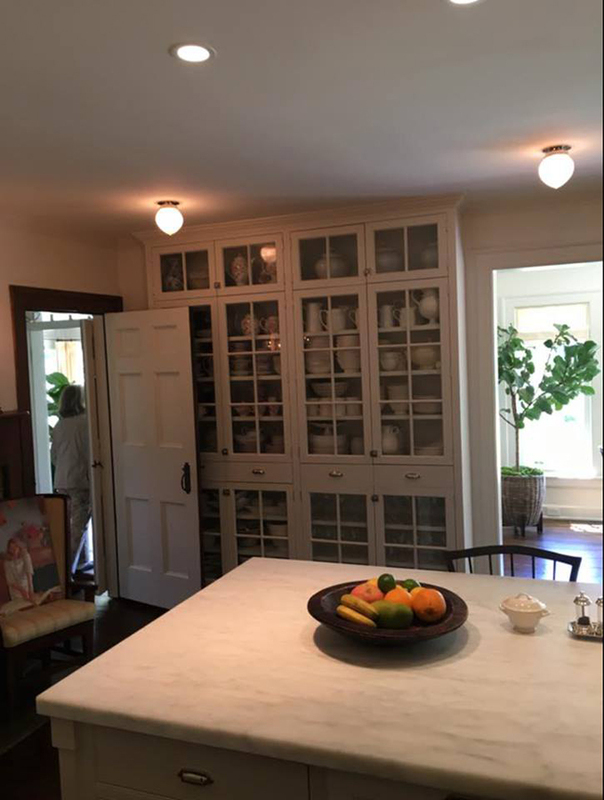 Martha installed this built-in cabinet in the late 1990s during a renovation of the home. It remains there today. This is a new breakfast room the Bergs built. It was once an outdoor porch covered by a pergola. 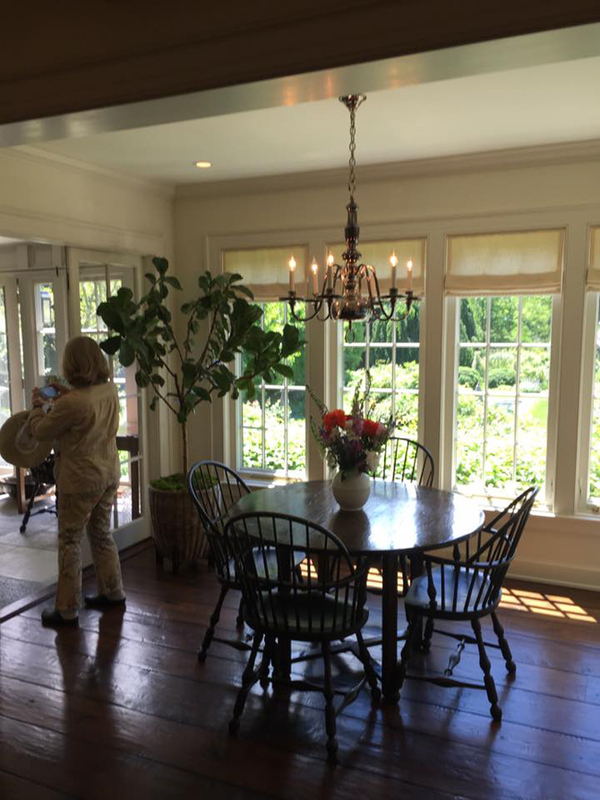 It now connects to the original glassed-in porch that Martha built. 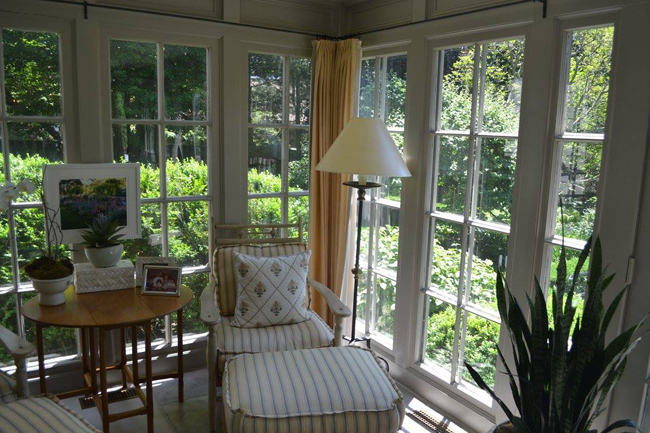 The porch that Martha and Andy built when they bought the home in 1972 still looks charming today. 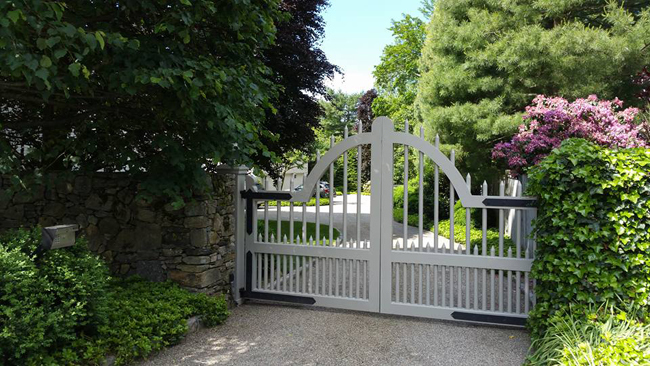 Here is the driveway gate that Martha designed. 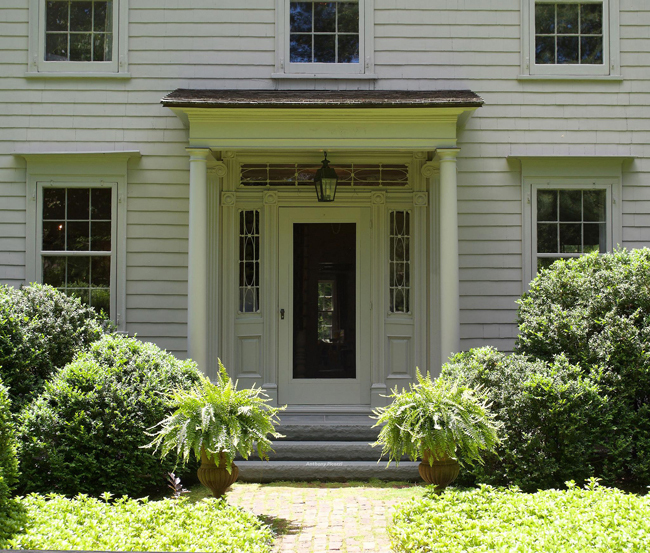 She replicated it exactly when she purchased her home on Lily Pond Lane in the Hamptons. A smaller version connects the front pathway to the road. Martha laid all of the brick in the path herself. 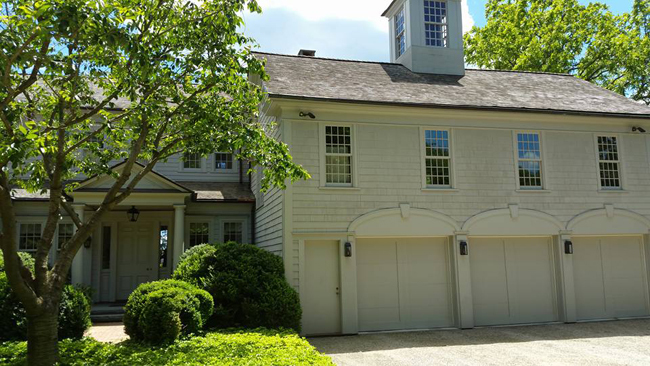 Here is a good view of the new addition to the home, connecting the original house to the carriage house. 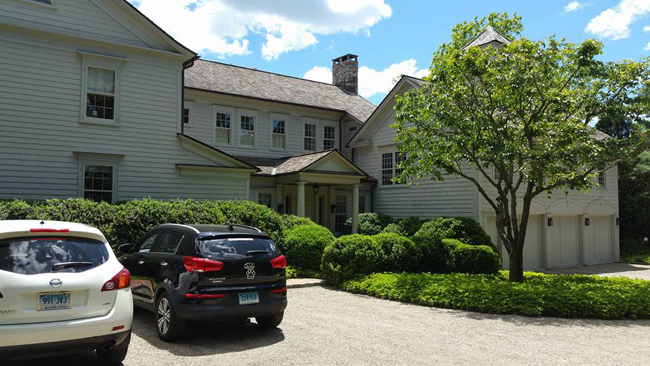 It affords the new owners much more space for their family and provides a gracious side entrance from the driveway. 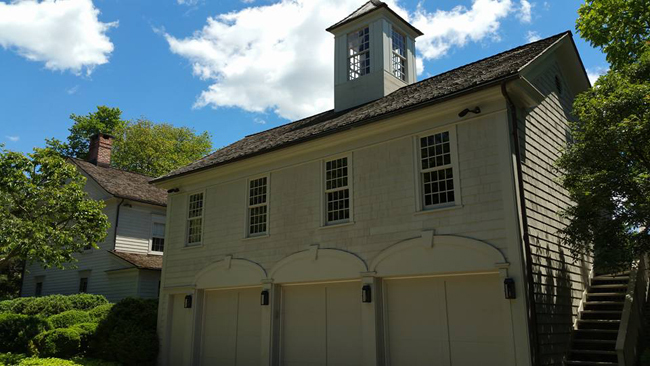 The lower portion of the carriage house, which once held Martha's catering kitchen, has now been converted into a garage. Above was once a guest suite but the Berg's now use it as a media room. 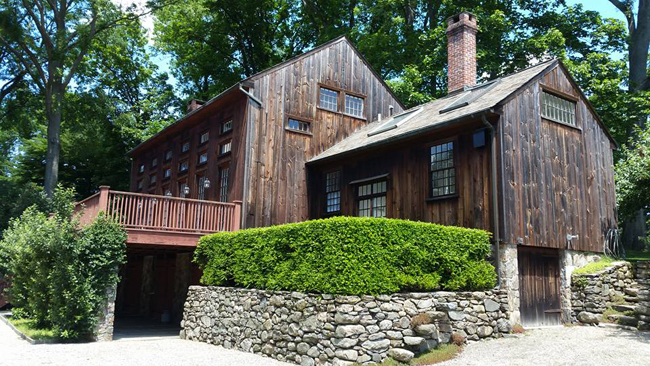 Here is another view of the carriage house. This structure was built by Martha's brother, George Christiansen. The cupola is original, as are the stairs leading to the upper level. This is a view of the connecting addition from the back of the house. 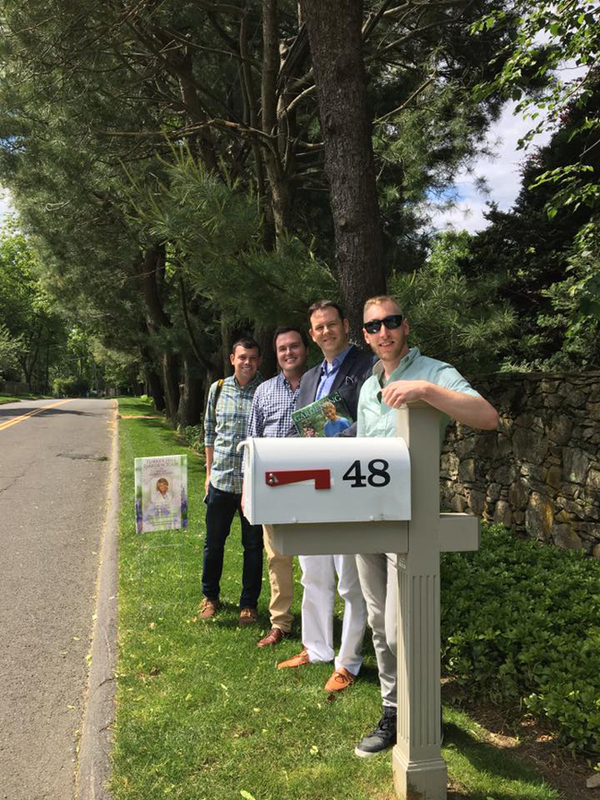 Here is a very nice picture of some very handsome gentlemen from the Martha Moments group! From left to right: Anthony Picozzi, Darrin David, Jeffrey Reed and Joe Jelnicki. They are standing on Turkey Hill Road in front of the stone wall that surrounds the property. 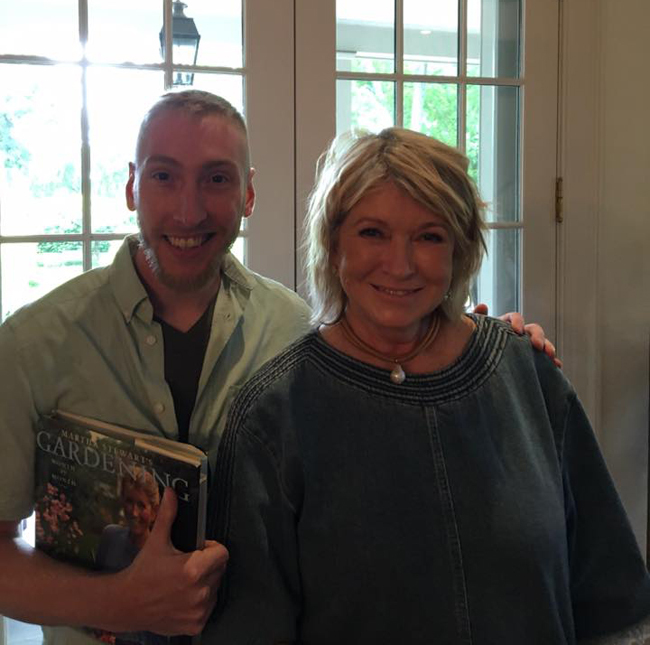 Joe poses with Martha inside the house, holding his trusty copy of Martha Stewart's Gardening! 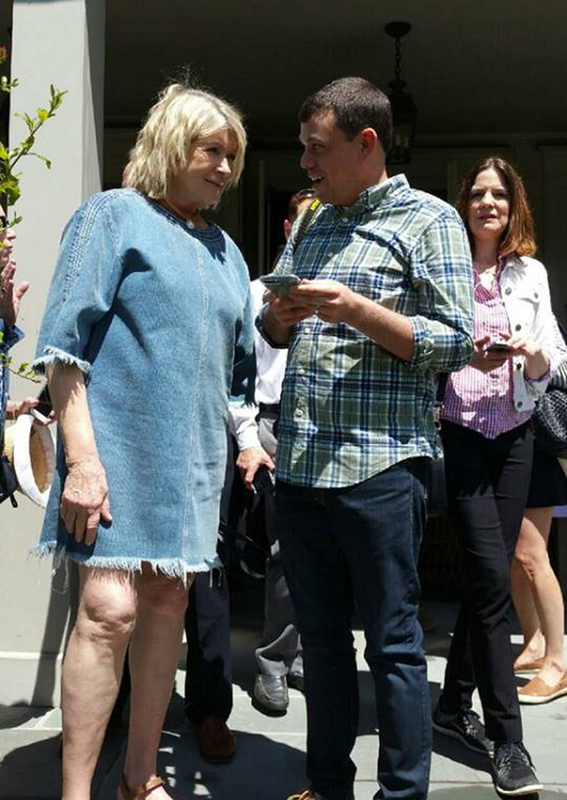 Anthony also got to speak with Martha. He is showing her some intriguing sketches of Turkey Hill. Nathan Schmidt, Dennis Landon, Joe Jelnicki and Rox-Anne Henderson (from Canada) pose by the front door. Martha prepares to take the guests on a tour of the grounds. 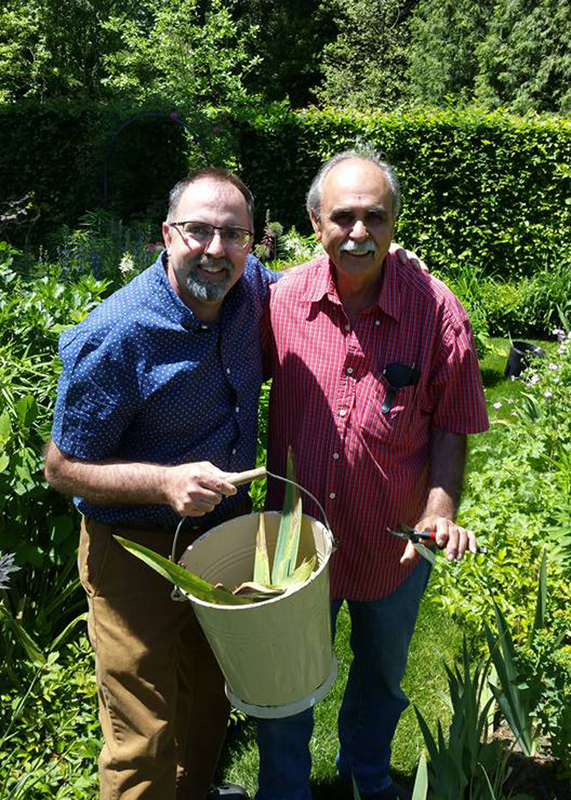 Here is Dennis posing with the original Turkey Hill gardener, Levy Froes. 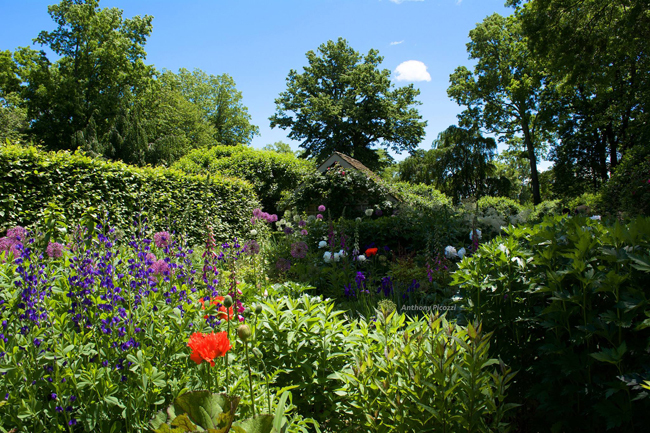 He worked for Martha for many years, tending to the Turkey Hill gardens. The Bergs asked him to stay on after Martha's departure to help preserve and maintain Martha's work. 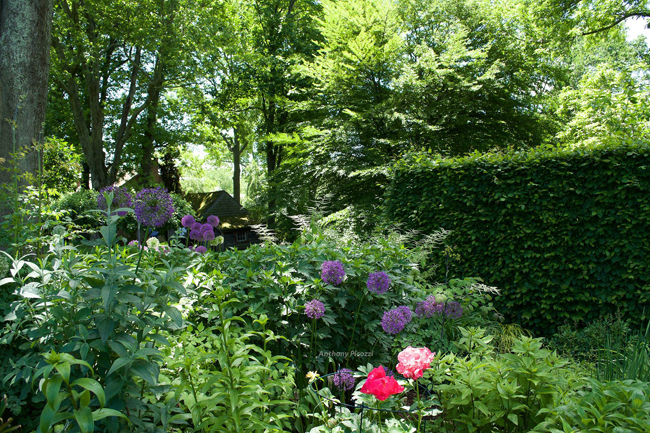 The property still looks so lush and beautiful. Levy has done a superb job! This is a view of the pool from the back porch. 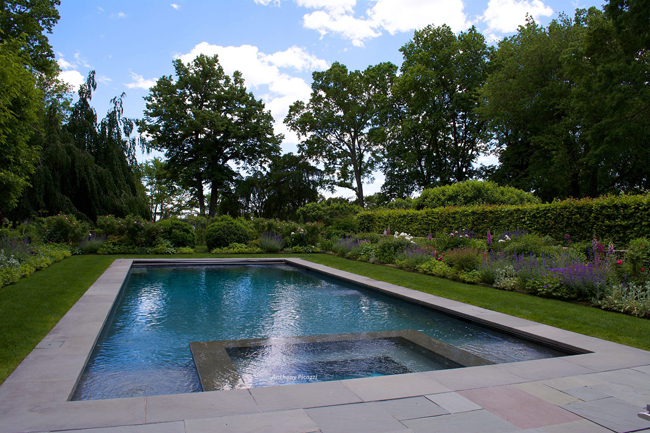 The pool remains as it did when Martha installed it in the late 1970s. The new owners added a hot tub. 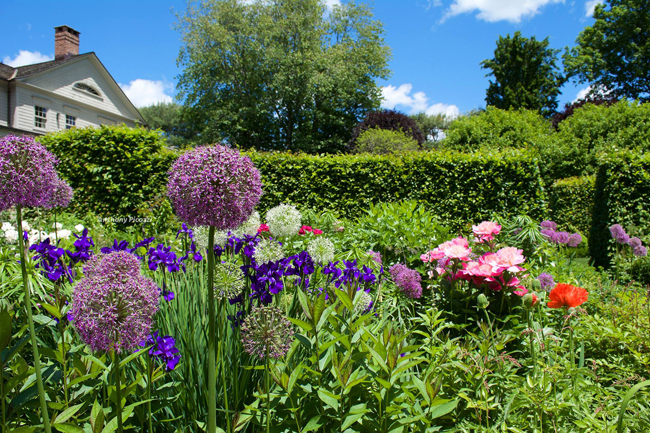 The perennial border along the side of the pool looks so beautiful. 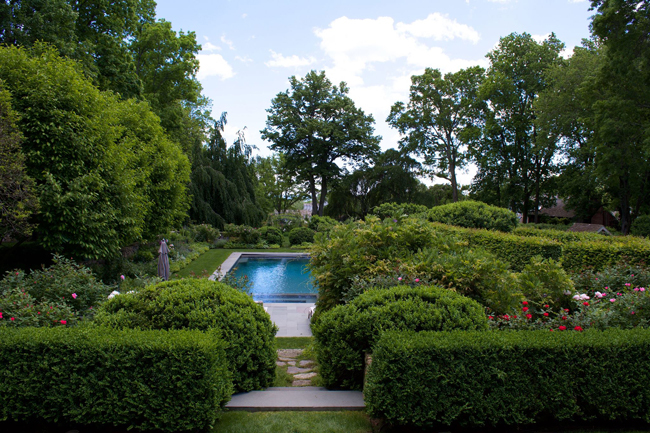 A view of the house from beyond the pool. 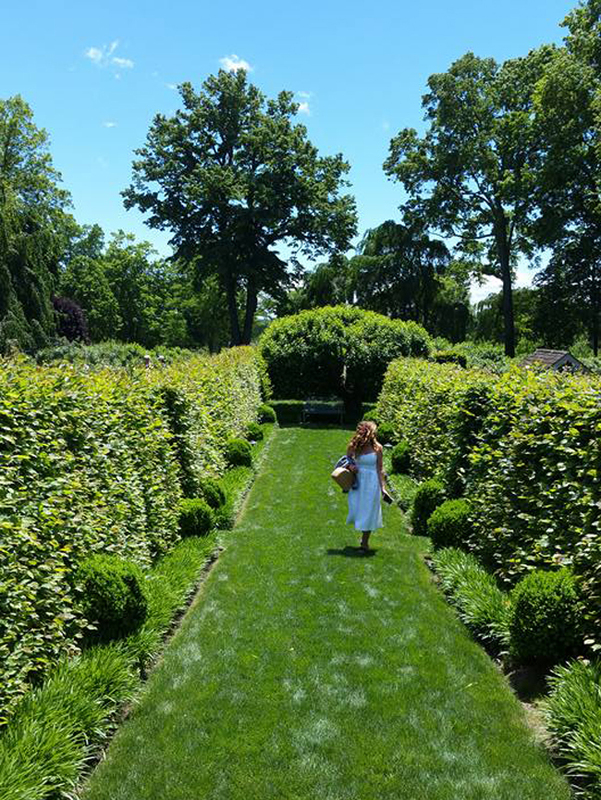 Lush, beautiful grounds were everywhere in evidence. 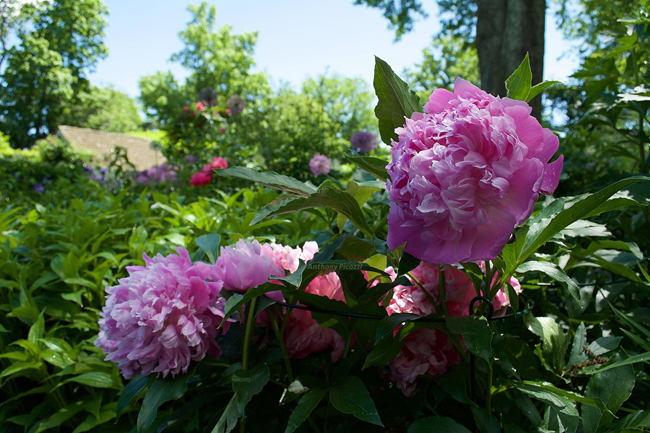 Some of the herbaceous peonies that Martha planted. 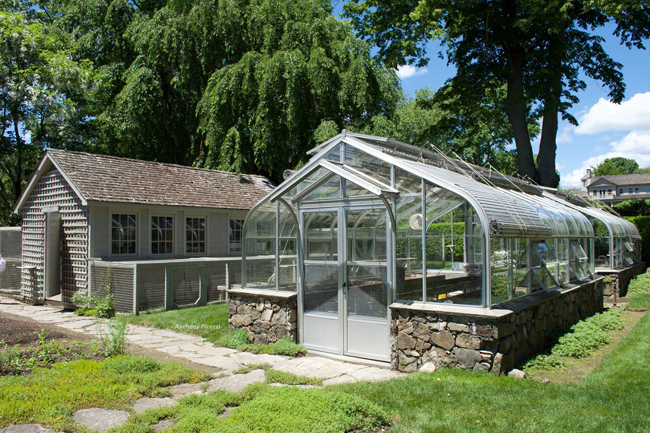 While the greenhouse and chicken coop that Martha built sit empty today, they still look beautifully cared for. Jeffrey Reed noticed this detail on the side of the chicken coop. 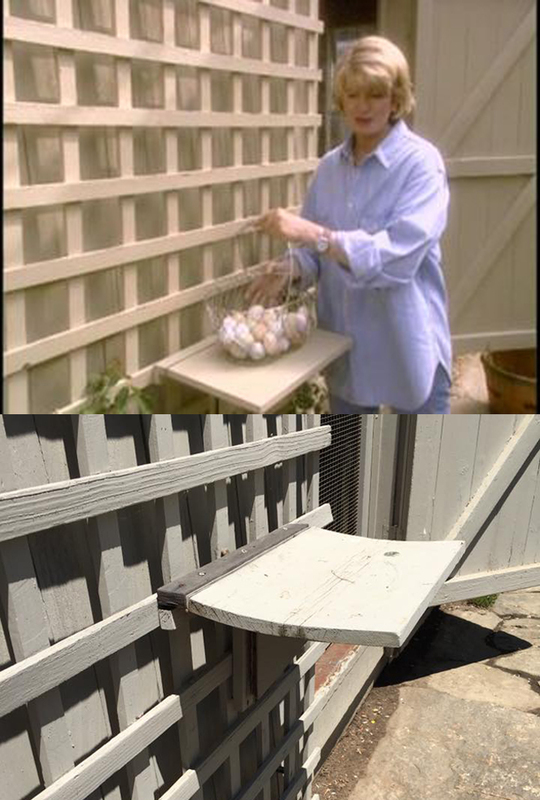 He had remembered it from an old episode of Martha Stewart Living: a convenient shelf to set down the eggs during harvest. It's a good thing! 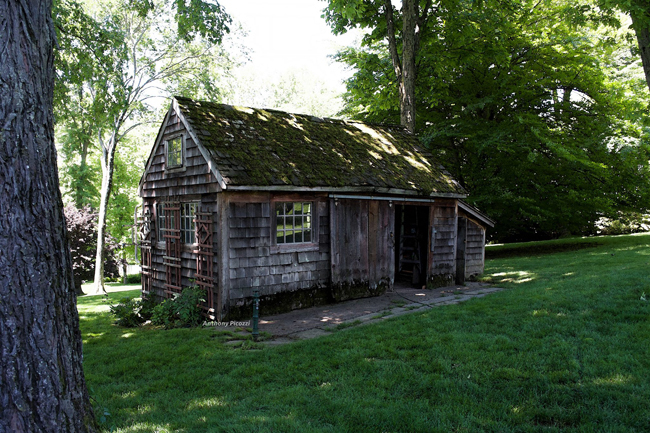 Speaking of Good Things, here is the garden shed where Martha first uttered those trademark words! She was painting the wooden handle of a garden spade a bright shade of teal and simply said, "It's a good thing." The saying stuck! 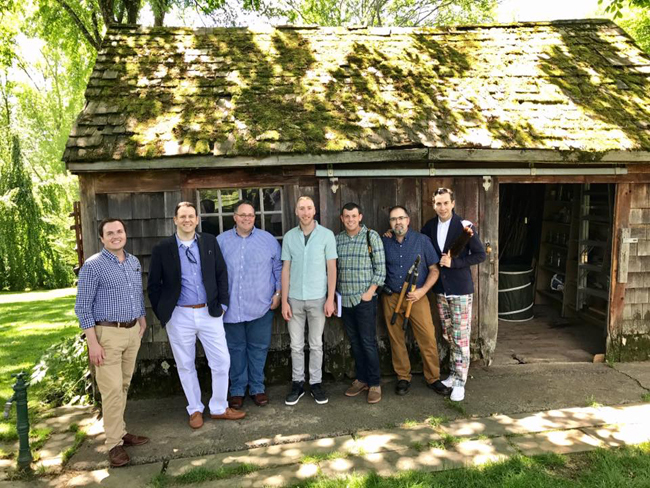 The boys all posed in front of the shed: Darrin David, Jeffrey Reed, Nathan Schmidt, Joe Jelnicki, Anthony Picozzi, Dennis Landon and Collin Eastland. 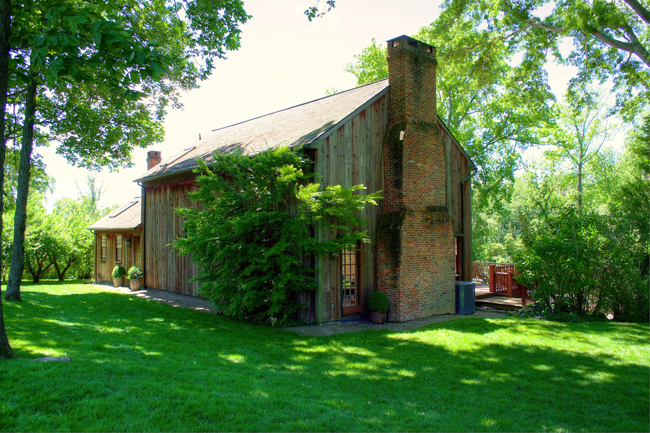 This is the barn on the property. Martha and Andy constructed it to provide a large space for entertaining. It's a very majestic looking structure. 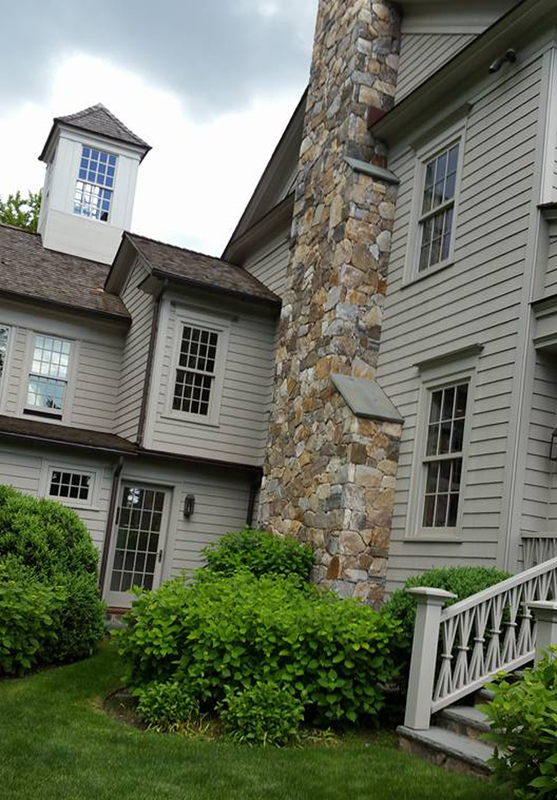 Jason Zappolo noticed the protruding stone 'steps' that climb up the side of the retaining wall: a very nice detail! I really hope you enjoyed this tour! I certainly enjoyed living vicariously through the lucky people who got to attend! My thanks and appreciation to each one of you who contributed photos! Please leave comments below! Thank you very much for the detailed visit to TH , it remains an incredable home. Wow wow I loved the Facebook tour, this house iwas one of my favourites, I was very sad when she had to sell it. I can imagine how happy she was to go back and see her first home. Rox-Anne, thank you so much for sharing all your amazing photos with us! I was so pleased that so many people from the discussion group were able to go. And I'm so pleased to know you now! Rowaida, Turkey Hill had a charm and grace all its own. Martha looked thrilled to be there!